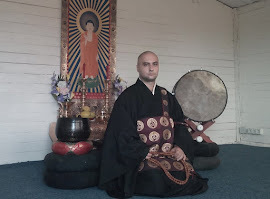 Many people ask me about priest ordination in Jodo Shinshu, so I thought to post this article to help them get some information, and also to express some of my own views on this matter. The candidate must spend 15 days in some kind of retreat at a facility near the main temple (Nishi Hongwanji) of our tradition, in Kyoto. There he (or she) is examined and attains various courses on doctrine and ritual, after which he receives a tonsure and the actual ordination from the Go Monshu sama - the Patriarch of our main temple and leader of Nishi Hongwanji branch. Tokudo is the first level of ordination and is sometimes followed by "kyoshi" (which permits them to teach doctrine) and "kaikyoshi", literally "overseas teacher" which permits them to teach outside mainland Japan like a missionary. However, in the European district, which is a developing district inside Nishi Hongwanji organization, a person ordained with tokudo level will do, and is practically allowed to do, teaching activities outside of Japan. In order to enter into contact with various Japanese officials who can help one attend tokudo sessions for foreigners and eventually be supported for tokudo ordination, one should first attend a European Shinshu Conference which is organized every two years in a European country. There one can first receive lay confirmation ceremony or kikyoshiki. Sometimes lay refuge ceremonies (kieshiki) are also given at locals temple. Kikyoshiki can be given by Go Monshu sama or by the retired Monshu (Zenmon-sama), or somebody appointed by him. This can be the first step. Then, in time, if one convinces somebody (perhaps his local priest or another inside the system) that he is a serious person and that he deserves to be supported for tokudo, he can go for ordination in Japan. Such a European Conference where one can first enter into contact with various Jodo Shinshu representatives, especially with Japanese, is organized this year in August, in UK. Here is the link (click here). Those who cannot afford to attend such Conferences can apply for a grant (details in the above link) from International Association of Buddhist Culture (IABC – details on the Conference website). However, my opinion is that such Conferences are not exactly a good place for hearing the true Jodo Shinshu teaching because, as they are not strictly moderated, one can hear many personal ideas which may confuse a beginner and sincere seeker. 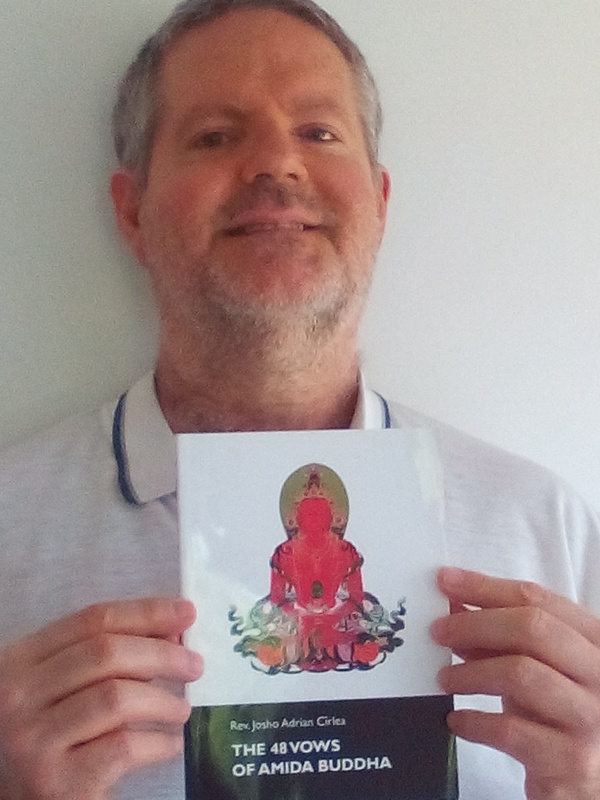 This is especially why such Conferences are not exactly on my taste as I have a very strict orthodox approach to Jodo Shinshu Buddhism which can be easily seen if one reads my teachings and books posted here on my temple (Amidaji) website. Thus, one is always welcomed to visit my temple for instructions if he wants to compare Amidaji style with the style practiced at these Conferences or at various temples in Europe, USA or elsewhere. Conditions for visitation are posted here (click here to read). Just to make an idea of Amidaji teaching style, you can read my temple’s official introduction into Jodo Shinshu (click here to read), and also this general info (click here) on the specific of Amidaji, The above two links can help you decide if you wish to continue your study with me or find another teacher and temple. 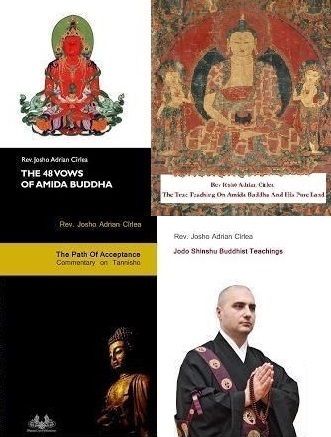 I mention again that my approach in teaching Jodo Shinshu is strictly orthodox, which is not the usual way for Jodo Shinshu temples in Europe, Canada, South America, USA, etc. 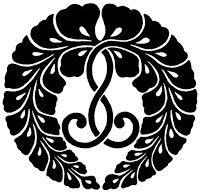 I also very rarely support one for becoming a priest unless he (or she) proves a high level of understanding of the Jodo Shinshu doctrine and a strong commitment for the preservation of Jodo Shinshu orthodoxy. However, if one wishes to work hard and have my personal support in becoming a priest (related with my temple or not), then he must first pass this examination (click here to read), and attend regular meetings and retreats with me at Amidaji after which I still don’t promise that I will give him anything. However, to become a priest is very easy if one looks for the support of other teachers and priests, not me, so I think I offered enough primary information on that too, in the first part of this post. Just one more thing - the above information about how to receive tokudo by first attending European Shinshu Conferences to get personally in touch with Japanese or European representatives are especially useful if you live in Europe. 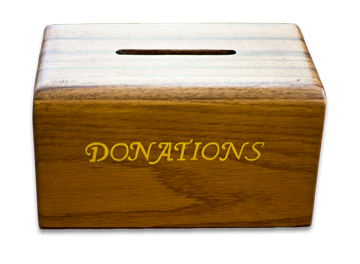 But if you live in USA, you can contact Buddhist Churches of America (BCA) and they may have a different system of giving recommendations for tokudo. Also, if you live in South America, Australia, Canada, you can contact their main temples and representatives. You can find information about the various centers around the world on Hongwanji International Centerțs website. 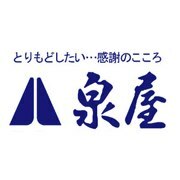 Their email is: kokusai@hongwanji.or.jp If however, you don’t like the teaching style of your local temple, you may have the possibility to join a temple outside of your area or even outside of your country, and get a recommendation from there. Ordination in Jodo Shinshu is non-monastic and equally opened to both male and female. 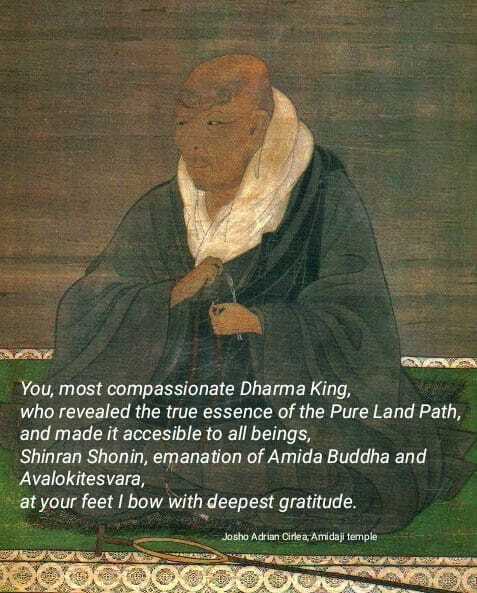 Ordained people are "neither monk, nor lay", as Shinran Shonin, our Founder, used to call himself. Not a monk as we do not take the precepts of a monk, and not a lay, as we are supposed to have higher aspirations than a lay who may have a limited interest in the Dharma. Of course, many lay people may be better than priests, but you get the idea :) It’s supposed that priests will put more efforts in teaching others the path to birth in the Pure Land of Amida Buddha, and be living examples of Shinran’s urge, “receive yourself faith and help others receive faith”, which unfortunately, is very rare nowadays when various wrong views are prevalent in the international Jodo Shinshu sangha, with priests being the main representatives and perpetrators of such divergences. Although the tokudo (priest) ordination is given by the Go Monshu (Patriarch) of our main temple in Kyoto (Nishi Hongwanji), talks about a non-japanese ordination system were held in Europe on the basis of the advice and encouragement of Shonyo Shonin (1911-2002), the 23rd Monshu of Nishi Hongwanji who supported the idea of such ordinations and encouraged Europeans to do it. Thus, the first Shinshu priest in Europe, Rev Harry Pieper, who received ordination from Shonyo Shonin in the early sixties, himself ordained Rev Jean Earacle (Shaku Jôan) in 1970. Then, around 2000, Rev Earacle, founder of Shingyoji temple in Switzerland, ordained a few other European Jodo Shinshu priests. 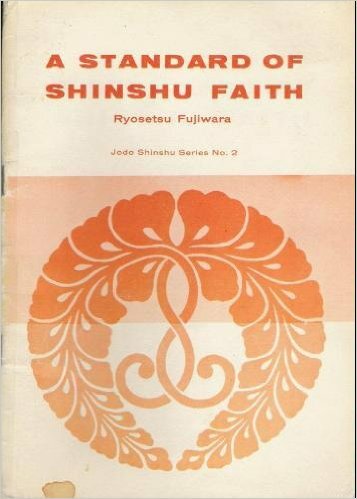 However, after the passing of Rev Earacle, a great supporter of the creation of a non-japanese ordination platform and a close friend of Shonyo Shonin, this matter was deliberately ignored by Japanese authorities inside Nishi Hongwanji, and few or no information is now available about those priests ordained by Rev Earacle (about whose activities or understanding of Shinshu faith I know nothing). It is my wish that such a discussion will be re-opened soon, as I think it can be very beneficial for the spreading of Jodo Shinshu outside of Japan. On this matter I am in favor of an open dialogue with pros and cons, as mature followers that we are, and I am very much against treating this topic with silence, as if it doesn’t exist, which is the way many treat it now. I hope this information help those who want to be ordained in our school. Other priests in the Hongwanji system can offer you new or more updated information if you ask them. Nowadays it is too easy to become a priest in our tradition.... All one needs is to have the right connections, smile to the people that matter, and soon enough he will go to Kyoto as a tokudo (priest ordination) candidate. It simply does not matter if he has good knowledge of the sacred texts or if he is dedicated to the promotion of Amida Dharma in accordance with them.. More than this, once he becomes a candidate, he will necessary pass all tokudo examinations because the nowadays policy of Hongwanji is that quantity should prevail over quality. Really, isn't it strange that 100% of all tokudo candidates pass the examinations? This shows that the examinations have become a formality. 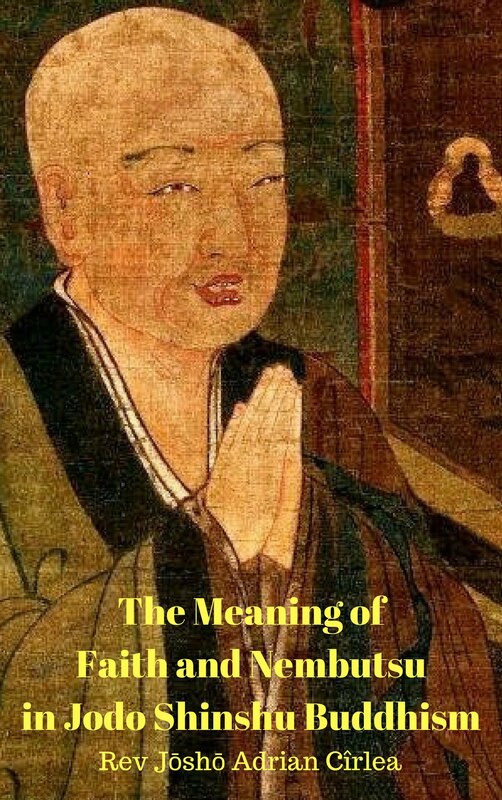 It is a pitiful situation and it explains why many of our priests embrace wrong views and have so little knowledge of the true Jodo Shinshu teaching (Amida Dharma). It also shows why there were even cases of people who left Jodo Shinshu sooner or later after receiving priest ordination! Certainly, they were not people of settled faith from the beginning! It is not by chance that Shinran Shonin said, "receive yourself faith and help others receive faith". So, before starting to teach others faith, one should become oneself a person of settled faith. And a person of settled faith is definitely not one who has a chaotical mind filled with many theories and ideas that do not belong to our lineage. Into my opinion, becoming a priest should be a hard and long process in which the candidate is severely checked on how he understands the Amida Dharma and how he or she intends to teach it. Candidates who do not know thoroughly the doctrines of our school and who do not accept in faith the teaching contained in the sacred texts, should be refused from receiving tokudo. This is because priests and teachers should aspire to be faithful transmitters, not creators of the Dharma. The role of a priest is not to indulge himself in sophisticated scholarship, but to help others receive simple faith in Amida. If he can't do that, his ordination is useless. He should know the teaching well, of course, but he must also be capable to explain it in simple terms. 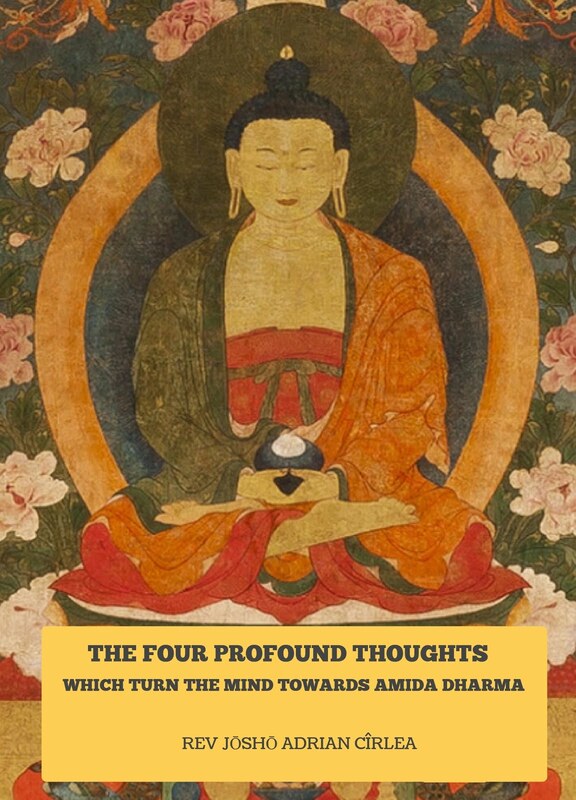 We shall never forget that Jodo Shinshu (Amida Dharma) was meant to be a simple, faith oriented school which all people should be able to understand and follow. Thus, any study or Dharma talk that does not have the goal of "receive faith for oneself and help others receive faith" is just an ego praising action. Priesthood is a service to others. One who does not feel the urge to awake people to the call of Amida Buddha, and who does not have the courage to stand up against wrong views should not become a priest. This is the twofold duty of a priest: 1) to teach the true teaching and 2) to fight against wrong views. 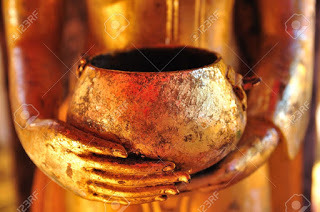 Only this twofold duty can help sentient beings receive faith because without meeting the true teaching people cannot make a connection with Amida Buddha. In the light of the above statements, I repeat what I already said – at Amidaji one can hardly receive a recommendation for priesthood if one does not prove he/she is well prepared for it. Even if one becomes a priest ordained at Nishi Hongwanji this does NOT qualify one to be admitted as a teacher in Amidaji temple and sangha until one passes further examinations with me and convinces me that he/she can sincerely fulfill his twofold duty and embraces the strict orthodox approach of Amidaji. Because I know well the precarious situation of priest ordination in Nishi Hongwanji branch, having a tokudo/kyoshi/kaikyoshi diploma is not enough for me to accept one as a fellow priest and teacher. Until the system of ordination is not thoroughly restored to its role of preparing true teachers and Hongwanji does not clear itself of false teachers and priests who, contrary to the official documents and status of Nishi Hongwanji itself, support various wrong views like the denial of life after death and of Pure Land to be found after death, or maintain sick theories like Amida being a myth, metaphor, symbol and fictional character, or mix Nembutsu with other practices (see the example of BCA – USA where they mix Nembutsu with zazen or other meditation techniques, etc), etc, I will NOT recognize any ordination as valid just because it was done at Hongwanji.